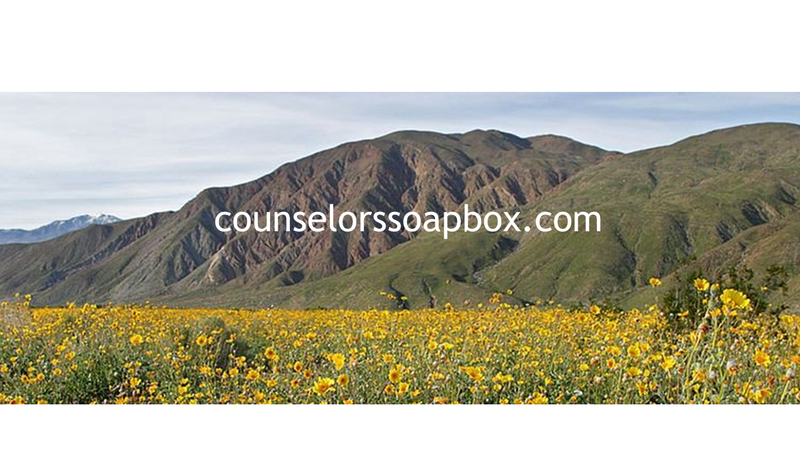 With over 700 posts now available here on counselorssoapbox.com, a few continue to be read and reread each and every day. In case you missed any of these Mental Health or Substance Abuse posts the links are below. There are also a whole parcel of other posts, some of them very specialized. You might want to look through the library of past posts or try the search feature to look for things that are of interest to you. Many of the posts over the last year were inspired by questions that you readers sent in and the comments you left at the end of posts. Keep those comments and questions coming. It helps me to know what you would like me to talk about next. Every question or comment deserves a reply and please know that I wish I could get back to you all right away but this schedule, having to work and trying to write does not always allow me to post responses as quickly as I would like. Just know that I really want to tell you things that are accurate and that means some time researching things and thinking about them before I post that reply. The work on the book I have been writing is accelerating and I hope to have more to tell you on that topic in the near future. 1. How much should you tell a therapist? 3. Do therapists have to report a crime? 5. Which border is Borderline Intellectual Functioning on? 8. Is nicotine a stimulant or a depressant? 9. Why can’t we forget the painful past? This entry was posted in Co-Occurring Disorders and tagged Counseling, counselorssoapbox.com, David Joel Miller, fresno california, Mental Health, Mental illness, Substance abuse, Therapy, Top 10 Mental Health Blog posts of 2013, Top Mental Health Blog posts by David Joel Miller. Bookmark the permalink. I’ve enjoyed your posts & appreciate your practical approach to mental health care. Best to you in 2014!